Maxxam Analytics, a Canadian provider of analytical services for industry, has received the Toronto Star Award for Excellence in Workplace Integration at the sixth annual Toronto Region Immigrant Employment Council Immigrant Success Awards on Thursday. The Mississauga Ontario based company was praised at the ceremony for enrolling over 400 skilled immigrants into its co-op program, which is similar to the co-op program it offers to students and graduates. Maxxam has ended up hiring over half of the skilled immigrants that have gone through its co-op program, providing them with much needed skills and Canadian work experience. Citizenship and Immigration Canada has been looking for ways to improve skilled immigrants’ employment prospects in recent years, as evidence has been mounting that recent immigrants have lower average incomes and a higher unemployment rate than natural-born Canadians and longer term immigrants. 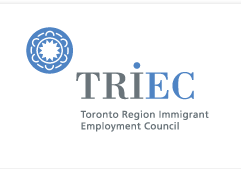 The Toronto Region Immigrant Employment Council has received federal funding for several programs to help skilled immigrants find employment in the Greater Toronto Area (GTA) recently, including the creation of an online jobs networking site for Canadian Immigrant communities, www.networksforimmigrants.ca, as part of its Professional Immigrant Networks initiative.